One of the most common applications of a BACnet gateway is to translate Modbus RTU or Modbus TCP registers into BACnet objects on either a BACnet IP network or BACnet MS/TP network. 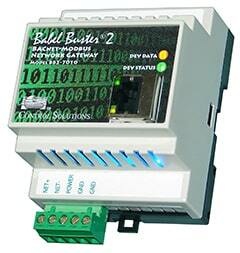 BACnet protocol is not commonly found in industrial PLCs, but Modbus is. Therefore, the Modbus to BACnet gateway enables use of a standard industrial PLC on a BACnet network in a building automation application. A variety of other industrial equipment, most commonly VFDs and power measurement equipment, is readily available with Modbus protocol. 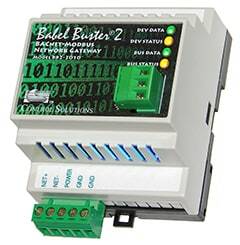 Using a Modbus to BACnet gateway opens the door to using this type of equipment in a building automation application as well. BACnet protocol converters or gateways in general convert BACnet protocol to other non-BACnet network protocols. 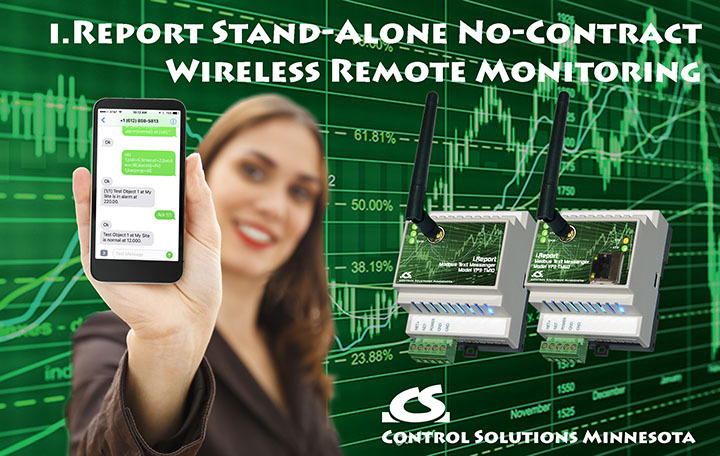 BACnet gateway devices in the Control Solutions Babel Buster family of gateways include Modbus to BACnet gateways or protocol converters, LonWorks to BACnet gateways or protocol converters, and BACnet to SNMP gateways. Protocol conversion between BACnet and non-BACnet devices is more than just retransmitting data. 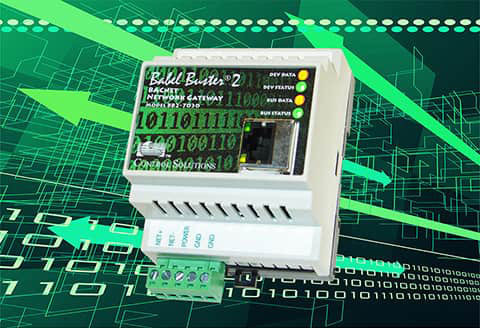 Data is encoded differently in BACnet versus Modbus for example, and the gateway or protocol converter needs decode data received with one protocol, and re-encode it for transmission to the other. Data flow is generally bidirectional, subject to rules of the protocol. BACnet gateways are used to connect non-BACnet devices to a BACnet network, or vice versa. Translating BACnet IP to BACnet MS/TP or vice versa is also a common application of a BACnet gateway, and can be done with or without object remapping.